I love the weekend but we usually end up doing the same things – coffee shop, then a playground, followed by an afternoon at home doing whatever. If you feel like yours are also getting a bit same same, here are 31 fun but different things you can do. You may have already done a lot of them but have a peruse and you might just get inspired to try something new. 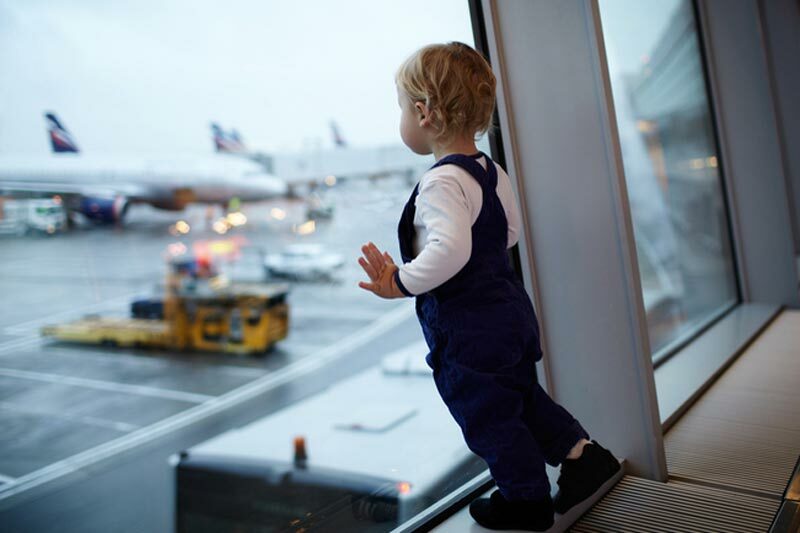 Toddlers love planes, so a visit to the airport is exciting for him. Let him have a snooze in the car on the way over and then wake up to see the glorious machines in real life! You may have made coloured playdough, but have you tried making smellydough? Just add some peppermint essence or lavender oil when kneading it. If your toddler is used to eating all of his meals in the same place, shake things up on him and let him eat his vegemite sandwich quarters on a rug on the floor. Make it a picnic spread, by including fruit and plates of this and that and all sit on the floor together. Better yet, invite his teddies to join you! Ask your toddler to pick up some pretty leaves from your yard or the park. Talk to him about how they fell from the trees and that each one is unique and beautiful. Then draw a tree and branches and have him past the leaves on to make a pretty picture. Toss a few blankets over your dining room table and you have a cubby house! Up the fun ante by crawling under it with your toddler and then hand him a torch. Mix a few drops of food colouring into natural yoghurt and you have edible finger paint! 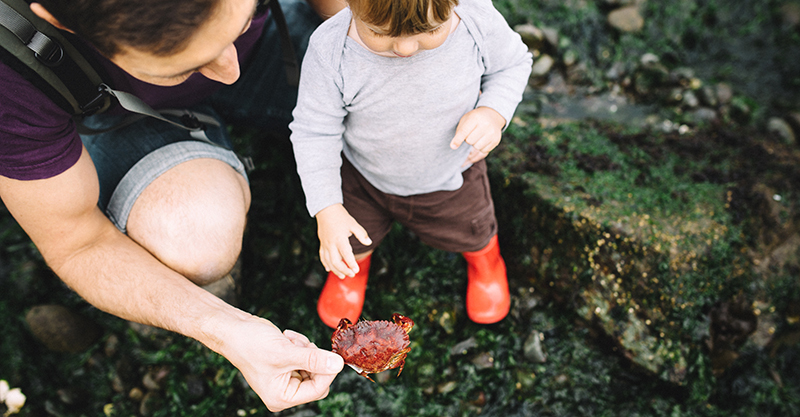 It may be too cold to swim at the beach right now but your toddler will adore being there and peering into rock pools. Tell him to look for crabs and that the shells have little animals living inside of them. Toddlers love playing with the dirt and are fascinated by gardening. Give your little one the hand shovel and plant a tomato plant (easy to grow and he’ll delight in watching the tomatoes appear! ), sprinkle some flower seeds, or plant a few herbs. Toddlers love this game, even if they stand in the middle of the lounge room saying “here I am!”. If it’s a windy day, head to the park or better yet a headland for some kite flying fun. Draw a happy face and a sad face on the other side of a balloon and your tot will roar with laughter when you turn it to each side. This one doesn’t need to be complicated. Simply hide a few toys around the house or in the yard and give him clues to find them. You could make the last one the grand prize, such as a new toy if you want. Ask your toddler to smear some paint on his hands and feet and then stamp on a long length of paper (just snip this from a roll and use weights to hold it down). Once finished, peg it up to dry on the clothesline and you will have gorgeous handmade wrapping paper for the next birthday present. Fill your bath up a little, add some bubble bath and ask your toddler to ‘wash’ his plastic toys with a flannel and kitchen scrubbing brush. Have a towel at the ready for drying. 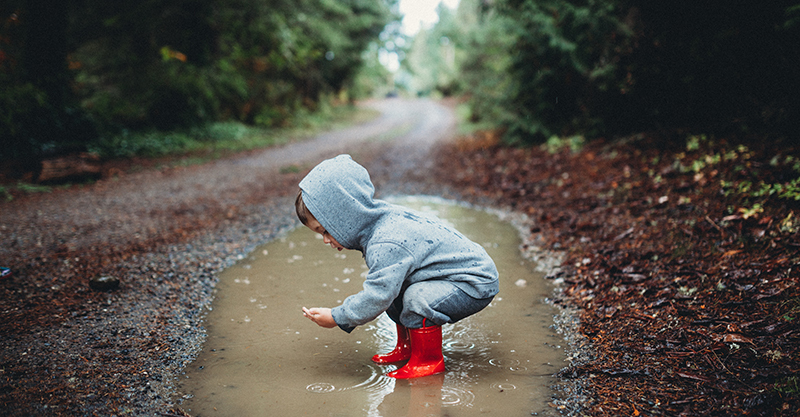 If it’s a rainy weekend, you can still get outside and your little one will be fascinated by the rain! Just hand him an umbrella and dress him up in a raincoat and gumboots. CUTE! Simply mix one cup of coconut oil with eight cups of flour to make silky, mouldable cloud dough, also known as ‘moon sand’. Perfect for zooming toy trucks through and making volcanoes! And then knock it down! Even if this is just a short nature trail. Watch your toddler run and feel the wind in his hair! Put some oats in a ziplock bag and feed the ducks. Don’t give them bread though as this isn’t good for them. Hand your toddler a paintbrush and a cup of water and let him ‘paint’ some rocks. Even if you only go to the shops a few suburbs away, your little one will LOVE having a ride on the bus. He will also most likely serenade the passengers by singing, “The Wheels On The Bus” song – nawww. If a visit to the actual aquarium is out of the family budget, look up if you have any aquarium shops nearby. The tanks are just the right height for your little one. Chores are fun for toddlers! Give him a cloth and bowl of water and ask him to run it along the skirting boards, giving them a clean. 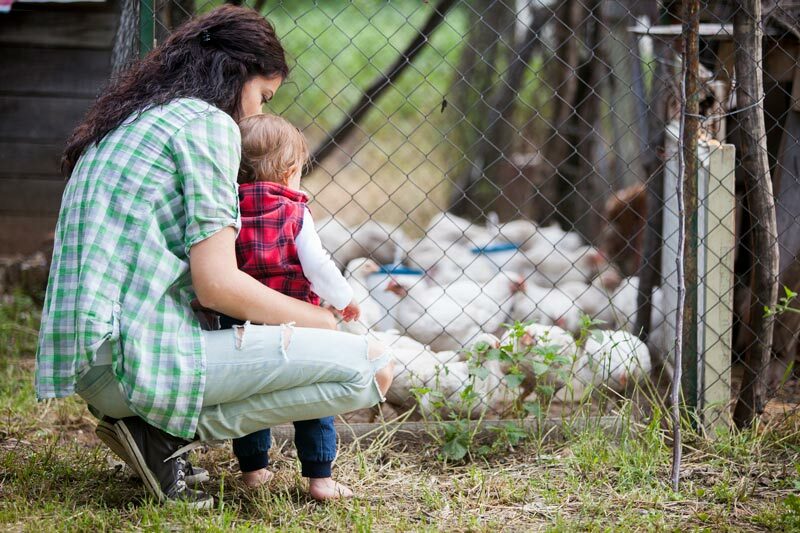 If you have a friend with chickens, ask them if your little one can pop over and help to collect the eggs. If not, visit a petting zoo. If your little one has had a long day sleep and isn’t too tired, thrill him by taking him out for a treat at night. Even a drive at night past the traffic lights to the servo to buy an ice cream will excite him. Catch a ferry for the sake of catching a ferry and have a cheap joyride looking at the boats on the harbour. Hide some toys behind a tea towel, ask your toddler to look at them and then take one away. Ask him if he can tell you which one is missing (a game more for older tots). The zoo is an exciting day out but your little one will be as excited by the guinea pigs and fish at the local pet shop if you can’t afford the entry fee. Get messy in the kitchen with your mini chef and ask him to help you make muffins by scooping out the flour, pouring it in and placing the patty cases in the muffin tin. Toddlers are obsessed with water and yours will be fascinated by seeing a gush of water spill over the rocks and into a pond at the bottom. If you can find one that has a little walking trail leading to it, better yet. Your tot will be mesmerised by the tall buildings in the city, so an adventure to the big smoke is exciting to him. Try to find some street performers, who often have shows for kids. Even the guy playing the guitar will be a thrill, especially if you let your little one toss a coin into his case.